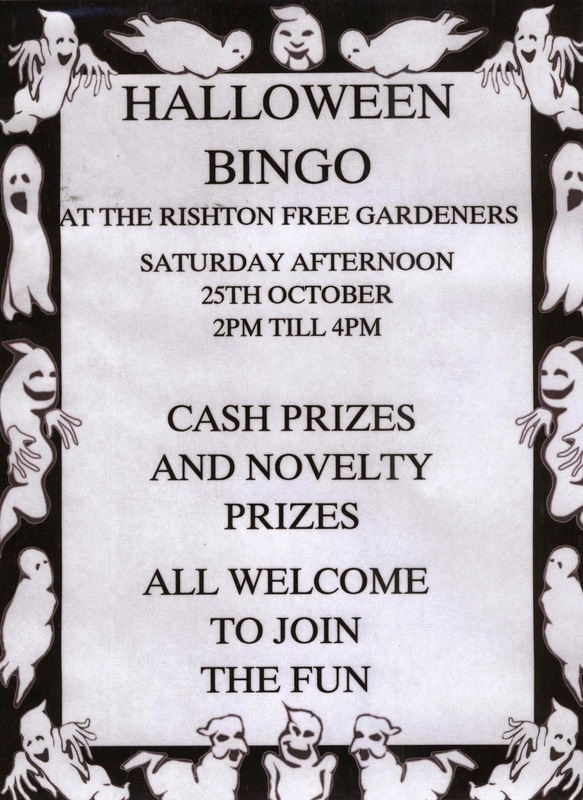 A Halloween-themed bingo afternoon will take place on Saturday 25th September at Rishton Free Gardeners Club. The first game starts at 2.00pm and each one will feature cash prizes plus novelty prizes with a scary theme! All residents are welcome to come along and you do not have to be a member of the club to play.